Interested to join us .Drop in your CV in the details given below and we shall give you a call once your CV is shortlisted. 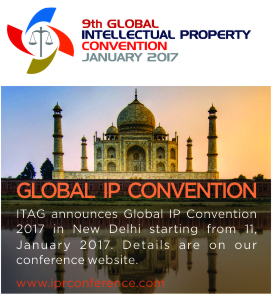 ITAG is a unique employer in the Indian outsourcing consulting industry. ITAG suite of offerings encompasses a wide range of services. We ensure quality work for the clients. We hire candidates who are bright, knowledgeable and are ready to unleash their expertise and potential in the most exciting industry – LPO. As a member of a ITAG team, you work directly with domestic and foreign clients, addressing complicated issues for which there are no short-cut answers. Even as a new Project Manager, you get to focus on the organizations viewpoint. You in fact, bring creative, infrequent and pioneering ideas that leave impact on our clients’ most vital needs. We are always on the lookout for new talents to join our team when opportunities arise. If you think that you share our values in committing to providing top quality services to our clients, please send us an open application to career@itagbs.com or info@itagbs.com with the subject – “Career” Thank you for your interest! Aspiring candidate should have experience in handling issues in the above mentioned field. We are looking for a marketing professional having strong domain knowledge in Industry, excellent understanding of Business Functionality related to such industry, having experience in detailed requirements gathering after interacting with the Clients and Stakeholders. Aspiring candidate should have experience in handling IP related issues in the above mentioned technical fields. We are looking for a IP Analyst having strong domain knowledge in Petrochemical Industry, excellent understanding of Business Functionality related to such industry, having experience in detailed requirements gathering after interacting with the Clients and Stakeholders and defining the scope of work related to existing and potential Intellectual Property Rights activities. We are looking for a pro-active individual having extensive work experience in Big Corporate House over detail business management. The Commercial Manager’s role is primarily to manage the financial matters, having clear focus on improving business performance and profitability. The role will include supporting the business in all of its commercial dealings, bid and tender support, profitability and pricing analysis. Key duties will include due manipulating data, analyzing data, determining plan liabilities, reconciling plan assets, and determining funding requirements, diligence review on potential new business acquisitions. Analysis of financial performance and market reviews to assist and improve management of company financial matters. Looking for Legal Professional having sufficient experience in Drafting different types of Agreements. Confident in handling various Litigation issues, Court, Legal Matters independently. Thorough knowledge and experience on litigation for handling various cases pertaining to disputes in realty industry. Attending meetings and doing research work. Should represent before various authorities and Courts in all types of litigations and prepare arguments independently plead before the Court in capacity of a Legal Professional. If you are confident and ready to take challenge, send resumes to career@itagbs.com or info@itagbs.com.